The last couple of days I spent my time with some of the most incredible women in this world. 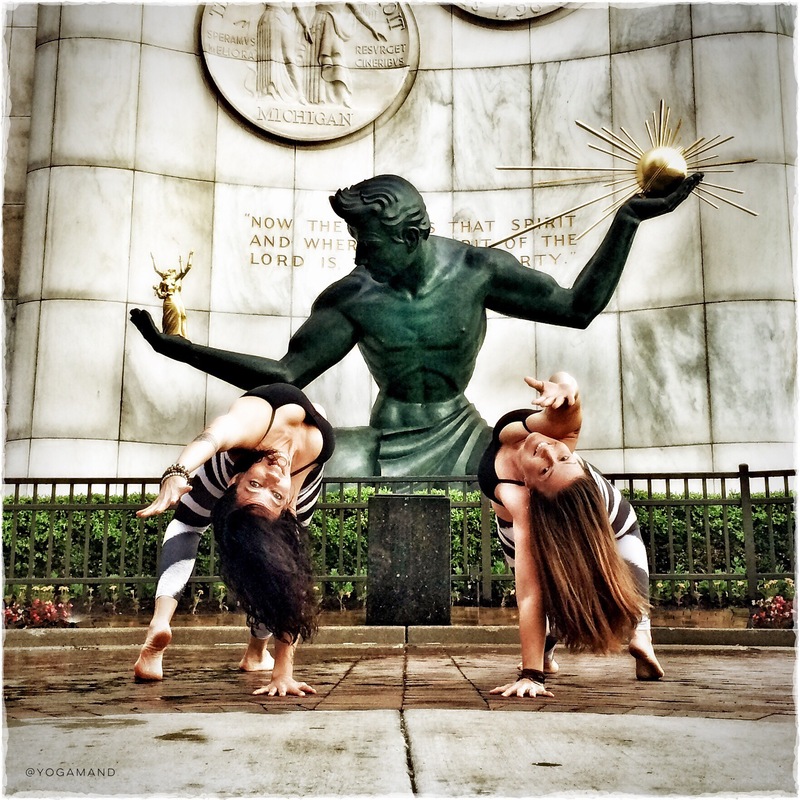 We had an epic IG yogi meet-up and Jen – you can see her in the picture below just asked me if we just get up a bit earlier to make a detour to Detroit to get some shots in front of the Spirit of Detroit before we head on to the airport. I said, well … YES!!! … it was absolutely worth getting up at early to see places where you’ve never been before.